China is not only the most crowded nation on the planet but certainly also a very advanced country in terms of science and technology. For businesses both inland and international, or anybody with an association in the computerized world; China should not be neglected. However, when we consider China we think about complexity, internet censorship, language difficulties, cultural differences etc. This is a place where more than 640 million web clients continually interact during an ever-changing process of advancement and development presenting endless opportunity for businesses and customers alike. China, unlike most Asian countries, doesn’t rely on the technologies and development of Westerns countries. It prefers to develop its own products and services through its own technologies. Therefore, China has its own, domestic social media websites and even search engines like Baidu. In fact, Baidu is more than a search engine. It is a web service company with multiple services including community services like ‘Baidu Baike’ which acts as a language encyclopedia. Baidu is the most popular search engine in China because it is the most efficient and well designed. It also allows users to search images and audio files. Moreover, it has become the standard search engine in China. While every search engine in China has a tendency to have an alternate demographic, with Baidu controlling 70% of the market, it’s harder to pinpoint a particular demographic for them. The search engine serves clients in every demographic. Any online business can’t prosper in China if it does not know how to market its product or service on Baidu. 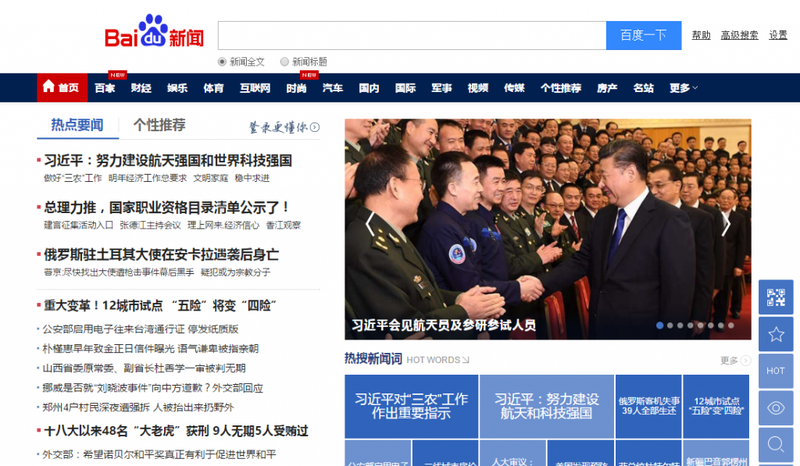 This web service is the gateway to Chinese online communities. 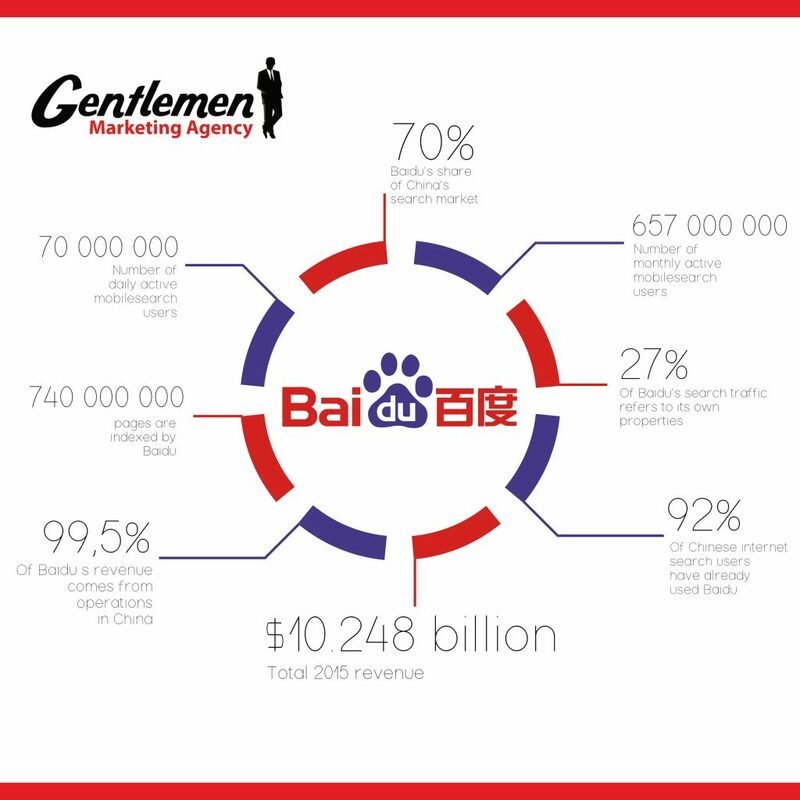 Here are some key facts about Baidu. Launched in 2000 in Beijing by Robin Li, the name “Baidu” (百度) originates from a Song Dynasty lyric in which the term is utilized to depict “a search for the ideal”. Gaining high rankings on Baidu is the key to exposure in the Chinese digital market. All these facts indicate the importance of Baidu and in this article you will find out how to utilize this search engine to generate maximum traffic for your website. What is the difference between Baidu & Google? A great part of the explanation for their predominance can be credited to Baidu for being the first player in the Chinese search engine market. They at first were influenced by Google, you can still see many resemblances in their layout choices and design. We cannot say the two search engines are same. There a significant number of key differences between Baidu and Google. SERP (search engine result page) clicks open in another program window/tab, leaving the first Baidu SERP page open, allowing the user to come back to Baidu, possibly resulting further click-through rates. This feature makes it easier for users to open multiple webpages on the results page of their search query. On the other hand when you open a webpage through Google’s result page you leave that page. You have to manually open the webpage in new tab which can be extremely frustrating specially for those users who want to open multiple results. Talking about click-through rates, consider that Baidu utilizes click-through features as a ranking factor, following which results were clicked on. Also recorded is the number of users who come back to the SERP to click on different results, they can work out the best results in light of the distinct style of clicking behavior. Baidu places higher significance on the freshness of content, while Google places a higher importance on the power of the page. It makes Baidu more beneficial for SEO experts with new projects because they have a better opportunity to place businesses at the top of the results. On Google it is almost impossible to replace giant websites even with huge outputs of data and content as the power of the page is more fixed. Google users literally know the results of some of their keywords which makes it somehow less interesting especially for Chinese users. On the other hand, the Baidu results page keeps on changing due to this preference for content originality and how recently it is published. As far as connections go, Baidu’s algorithm is more “old school Google”, power is constructed more in light of popularity than trust. The number of links is more important than the nature of the links, as Baidu is less refined than Google in deciding quality. If you want to improve your website’s ranking, then you should have as many backlinks as you can. Baidu does not care much about the relevance of backlink. If a backlink is only 1% relevant to your niche then its enough for Baidu. Recently, Baidu has been showing signs of improvement at determining link quality, and they’ve quite recently discharged another update to their ‘cash plant’ algorithm, which is serious about the selling and buying of links. This means that natural results optimization becomes increasingly important, you cannot just pay for ads and links. Baidu is exclusively focused on Mainland China. It therefore enormously supports content from the Mainland. If you need your site to rank, make sure it’s hosted on a .cn ccTLD, on a server inside China, and in Simplified Chinese content. In addition, you’ll need your backlinks to likewise originate from different sites in China, as links from different regions have fundamentally less ranking power, or may never get listed at all. In conclusion, make sure you avoid any delicate topic that could trigger China’s censorship, as this is a surefire way to get eliminated from records. Baidu places a strong emphasis on site speed in its positioning algorithm. Make sure you keep your site load time down. It means you should get hosting from those companies which possess fast servers and this should be Chinese hosted. It is better to have a dedicated server because it makes a website much faster then shared server websites. Getting your pages recorded by Baidu is significantly tougher than in Google. Presenting your site to Baidu will help significantly in getting your site recorded more thoroughly. Google has an automated system to record websites with more general rules but Baidu asks users for certain hosting and geographic locations to register them in its database. You need to develop a stronger connection with Baidu. Meta tags are not included on ranking algorithms in Google, the Meta catchphrases and Meta description tags are still however a critical aspect for Baidu, these needed to be tagged in Mandarin Chinese with the most effective keywords selected. All these features of Baidu make it different from Google therefore Google SEO experts find it difficult to get results on Baidu with their Google SEO approach. You have to learn about the working mechanism of Baidu in order to generate traffic from this leading search engine in China. Here you will get some tips and facts about Baidu which will help you to get your website registered on Baidu and place you on the first page of the search results. 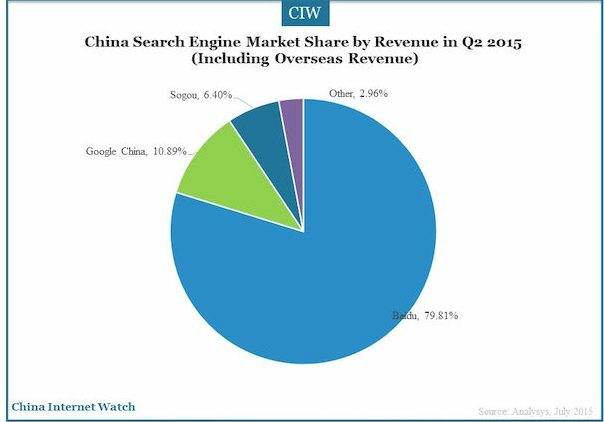 Baidu is undoubtedly the most popular search engine in China both in terms of revenue and market share. Its performance has varied over the last few years but it has continued to keep a competitive edge through its impeccable services. The competition in the market is becoming more and more intense with the arrival of new competitors and an increasing number of internet users. In this scenario it is important for Baidu to stay vigilant. A small mistake and carelessness can cause it a huge loss of market share and revenue. Baidu is the market leader right now but it does not mean that it will remain market leader. 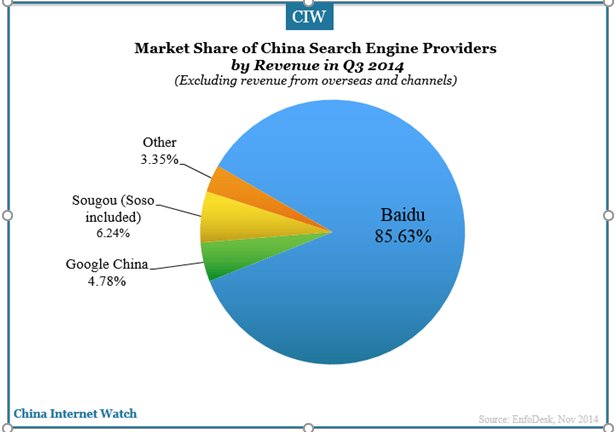 The figure below is shows the market share of Baidu in the third quarter of 2014. More than 85% of internet users in China were using Baidu to search websites, music, and videos. It was clear for all industries in China that they have to advertise on Baidu to convey their message to those 85% of users. Google China was not even second in the third quarter of 2014. The market share held by Google China was only 4.8% but Google China started to improve its search engine capabilities and made serious efforts to gain more market share. By the end of second quarter of 2015 Google China’s market share increased to 10.89% as shown in the figure below. This is huge increase due largely to the increasing number of internet users and a more intelligent digital strategy in China. It is still evident however that Google cannot compete in China with a domestic platform such as Baidu. On the other hand, the market share of Baidu reduced from 85.63% to 79.81%. The market share of other companies didn’t change that much. These changing market shares clearly indicate that the biggest rival for Baidu is Google China and Baidu can’t be complacent. A lot of their recent decrease in 2016 can be ascribed to developing rivalry from new search players, for example, Qihoo 360, and additionally the feedback that they haven’t been doing what’s needed in the versatile market. Despite still holding a 70% market share these are worrying signs for Baidu because if this trend continues it will soon lose its competitive edge. This market trend is also indicating entrepreneurs and small organizations are running their advertisement campaigns on other search engines. As it stands however Baidu is leading the market and therefore it is recommended to all businesses to focus their efforts on this platform to make their advertisement campaigns successful. Baidu is responding to developing competition. They have purchased an application store, ’91 Wireless’ for $1.9 billion to bring themselves once more into the mobile industry. In any case, with a market share of more than 70%, its unmistakable, Baidu is not to be disregarded for Chinese SEO. Baidu has several tools that can help you to improve your website ranking and online traffic. Most of these tools are simple and easy to use but some of them are more advanced. These advanced tools are for professional search engine optimizers. A brief introduction of all these tools is provided here so that you can optimize your web pages on Baidu more effectively. Since Baidu doesn’t have any sitemap submission feature or webmaster tools, the site should be re-submitted each time significant changes are made to the site. If you do not use this tool, then Baidu will not be able to recognize the changes in your website and it will affect your ratings. When upgrading for Baidu, keyword search should be accomplished for Baidu. Individuals in China will have unique search habits that are different to users in other nations. This tool will let you know about the most popular keywords in your niche, it is up to you to select the most appropriate keyword with the optimum value. If you select very competitive keywords, then you will have to work extremely hard to get on first page of search results. On the other hand, if you select keyword with very low competition the you will not be able to generate enough traffic as they are rarely searched. It is about correctly positioning yourself. Baidu’s SERP (results page) format is like Google. Yet, there are some key contrasts which everybody who is optimizing for Baidu should know, this is especially so for the naturally listed items, and how they modify the SERP. Basically, Baidu squeezes out basic results on page 1 for paid results and Baidu’s own particular web ventures. Firstly, Baidu’s own particular business ventures are shown in the same space as the natural results, the main contrast being a little piece of underlined dark content beside the URL. Tieba Blogging group where everybody can contribute, users up rank content for increased visibility. These characteristics push organic listings down when they show up in SERPs, so while you might be positioned as the #1 organic results for a keyword, it’s frequently the case that your outcome is displayed lower than on Google. This is not necessarily an issue as Chinese netziens scroll through a number of pages to compare results and options. Baidu Open is a stage in which website owners can construct an application and present their own data feed. Despite the fact that this does not influence organic searches, Baidu may choose to show the gadget in light of the keywords used. Popular gadgets contain vertical searches (e.g. for plane tickets) or weather predictions. This kind of freedom of development is good for business. It can open up new opportunities online. There is also a result called Brand Zone, accessible for brands to buy their own trademarked keywords to rule the SERP of branded terms. These outcomes can contain media, for example, tabbed or backlinked content, etc. Because of their huge size, Brand Zone results can definitely modify the appearance of the SERP. Basically, Brand Zone advertisement makes it very hard to be positioned on page 1 for a large competitors’ brand. There is also the Brand Landmark to consider. While Brand Zone is accessible for an association’s own particular trademarked terms, Brand Landmarks can likewise be obtained for more generic terms. These will show up in the right-hand sidebar, this additionally highlights content, for example; videos and images. This tool is very good for corporations and medium businesses. Content is king no matter what type of search engine you want to optimize. You have to have high-quality content to improve your ranking. Every search engine sets its own standards when it comes to the quality of the content. You have to understand those standards in order to gain the competitive edge over your competitors. Following are some requirements of Baidu for the high-quality content. If you keep these requirements in mind then your webpage can appear at the top of search results without paying Baidu a single penny. Baidu punishes sites more than most other web indexes for copy content. Content on the site should be unique. When building up the site, give careful consideration to copy content issues with the site like taxonomies, canonical issues, and so forth. All substance and Meta tags should be composed of simplified Chinese characters. Baidu lean towards improved simplified over traditional Chinese characters and dislikes romanized characters. It is because the new generation recognize simplified modern symbols and characters easily therefore it is recommended to avoid those traditional characters which are no longer mainstream. There are lots of blogs and websites with a healthy list of those traditional characters to avoid and you must know them. In the Chinese dialect, there are numerous language variations and different meanings of a single word. A single word could have 7 different meanings orally. All words in your content should be checked for purpose and correct meaning to guarantee the right words are being utilized. From an advertiser’s viewpoint, this implies you have to contract a local Chinese translator with exceptionally good language abilities and information of the different languages in China. Baidu depends intensely upon content quality and the amount published for rankings. Each page on the site that you need to rank should have at least 300 words of rare, unique content. It is the minimum standard therefore you must have posts of more than 300 words. If you post frequently then you can use posts of even hundred words but your website should have a reasonable quantity of unique content. Title labels should be composed a similar way you would for Google, yet with an alternate character limit. With Romanized characters, the title tag limit is 70 characters. A simplified Chinese character is equivalent to two characters, so the limit is 35 characters. While building the tag, utilize a keyword rich expression that is descriptive of the page’s substance, trailed by a branded term. Unlike Google and Bing, Baidu utilizes Meta Descriptions as a ranking factor. Ensure each Meta Descriptions has maybe a couple keyword phrases with a branded term. Additionally, remember that the Meta Descriptions restriction for Romanized characters is 156, so the restriction for simplified Chinese characters would be 78. Meta keywords tags may have been eliminated by most other search engines, yet Baidu still utilizes them as a ranking factor. They should be actualized on each page on the website and contain 3-5 keyword phrases. Stay away from keyword stuffing. Baidu‘s calculation for pictures is still extremely essential. The ALT attribute is an essential ranking factor for pictures, so ensure they are utilized on each picture. Actually a search engine can’t recognize images. These search engines filter images on the basis of their descriptions. Due to this reason all images in your website should have appropriate descriptions on the back end. It is best to display this description to visitors but you can also keep the description on back end just for the search engines. Heading use for Baidu is the same then some other search engine. Ensure every page has an h1 tag that shows up before some other heading tag. Likewise, ensure your heading tags follow a rank. Make sure to include keywords into the heading labels, yet maintain a strategic distance from keyword stuffing. Company blogs are a critical component to have on a site. Blogs not only promote more interior connecting, they likewise demonstrate Baidu that the site is content-rich and upgraded frequently. Baidu additionally has a news feed for blogs, which can drive more organic traffic. Make sure to add the blog to Baidu’s news feed. Baidu is primarily a search engine but it has several other services which can help you understand why this search engine has a 70% market share. Actually users don’t visit Baidu just to search for their desired web pages, videos, music, and online content but they also visit this website to enjoy its other services which are listed below. Baidu Games is an online channel that allows users to browse search game related content and news. This service is very unique because there is no dedicated search engine for video games. The market for video games is growing but there was no separate tool allowing gamers to find the latest happenings in the gaming world. Baidu has changed this scenario by launching this Baidu Games service. This feature also allows website owners to be better rewarded for their efforts because they attract highly targeted audiences to their gaming platforms through this service. Baidu Entertainment is an online channel for news and content related to entertainment. Clients can browse or search through news and other data related to particular stars, television series, movies, and music. Since Baidu is for Chinese people, most of the content on this channel is Chinese but it also covers the latest happenings in the international entertainment world to facilitate access for all kinds of users. Baidu Dictionary offers text translation and lookup features between Chinese and English. 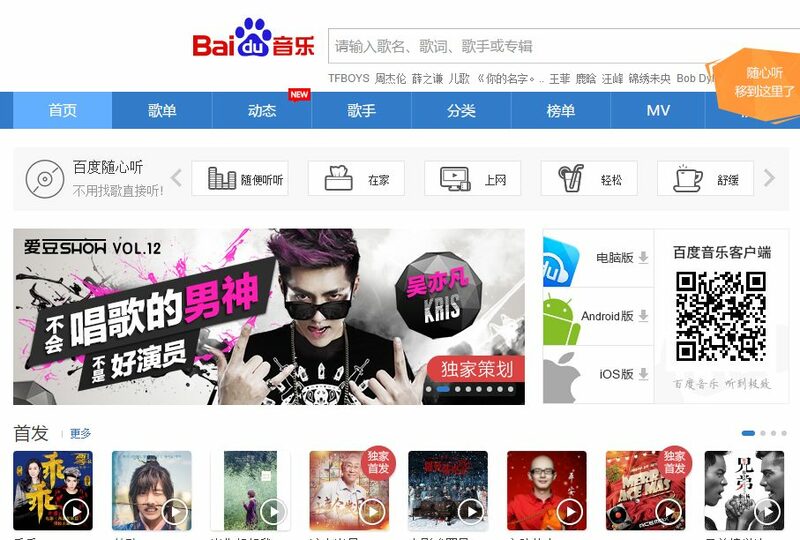 Baidu is a Chinese service but they also realize that not all popular websites in China have Chinese version. There are lots of websites in China which are only in English language. This Baidu Dictionary translates the text of English websites in Chinese to make them more useful for users. Similarly, it also translates Chinese into English to facilitate foreign users. Baidu Anti-Virus provides computer virus information and anti-virus software. It protects users from malware. So, if your website has bugs or corrupt files then it will not appear on the Baidu SERP. Users can also install Baidu anti-virus for both online and offline malware. Baidu Zhanzhang provides webmaster’s free suite editing tool. This tool is largely for developers but it is very user-friendly. Baidu Youa, a web-based shopping program through which organizations can offer their items at Baidu registered stores. This service is very helpful for both sellers and buyers because sellers get the chance to present their goods in a gigantic market. Consequently, buyers get the chance to get products from authentic sellers. Baidu Postal Code Search allows client to search postal codes in several urban areas in China. A postal code search service not only help Chinese citizens but also tourists. 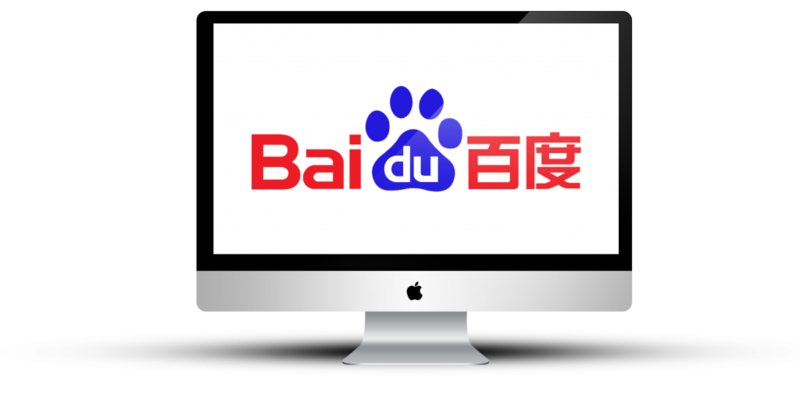 Baidu Desktop Search is free downloadable software that allows users to search all files saved on their PC without opening a Web browser. This desktop application is changing the way people download software in China. Currently it allows downloading of limited number of software tools but it is expanding slowly. Soon it will become the standard tool in China to download software. We have worked last year with 50 SEO projects on Baidu. As should be clear, there are few things that make Baidu simply like any other web search engine, it is unique. 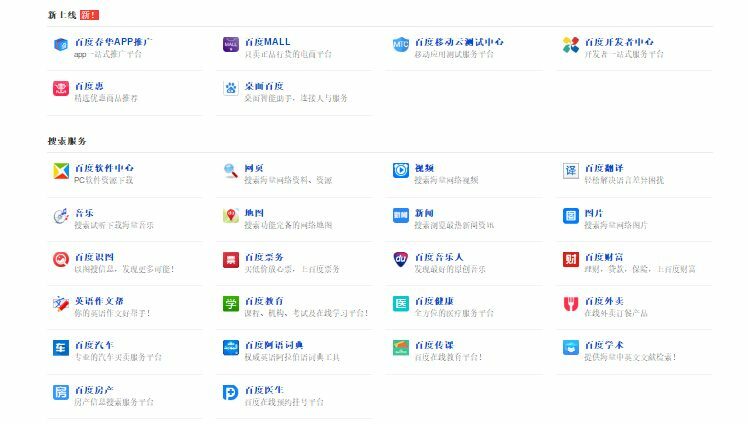 You can see that while at first glance Baidu may appear to be a Chinese version of Google, in fact there are vast differences between the two. Not simply in the algorithms, but rather the format of listed page items, which will affect an organization’s site performance. Website admin and advertisers entering this market should know about these distinctions to operate effectively to achieve the best results. Now, in our global, interconnected economy you must be able to carry out search engine marketing to the Chinese audience. Foreign businessmen always find it hard to run a highly profitable business in China despite of its high population and boosting economy. It is because the Chinese play by their rules and foreign businesses have to play by the Chinese people’s rules to financially benefit. The first step to operating a successful business in China is to learn about Baidu and optimize your website according to Baidu’s preferences. It will be better if you make a separate Chinese version of your website just to facilitate Chinese leads. You will see a significant rise in your revenue. China is bringing a huge number of buyers onto the web with the growing middle class spending and investing more. However, getting through to Chinese buyers online means consulting Baidu first. Address the points above and you’ll be well on your way! How can I have an access to baidu ads manager ?